Don't you love all the perks that come from the blog world? I love meeting new friends, reading interesting blogs, and linking up to linky parties. This time it was Heather over at Cook Family Chronicles, who put together a coffee mug swap among us fellow bloggers! I got assigned a partner from this cute blog - "Hi Jade, very nice to meet you here in the blog world!" I was very giddy when I received this package yesterday! 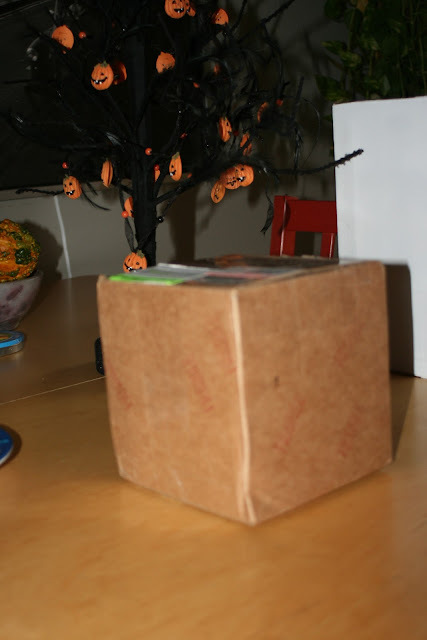 I couldn't wait to open it - yes, I love surprises! 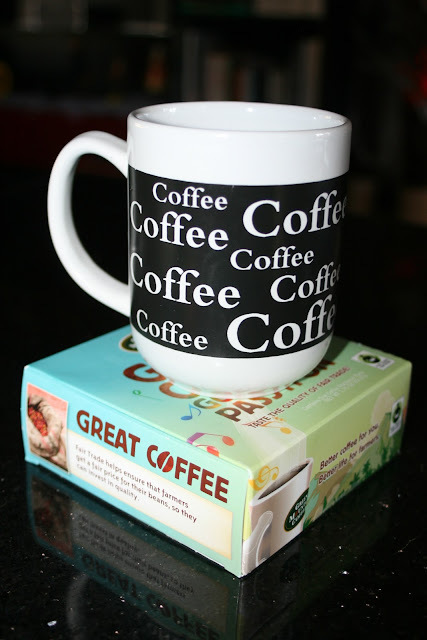 Thank you so much, Jade, for sending me this lovely mug and the fair trade coffee! I can't wait to enjoy my first cup! Also thank you, Heather, for organizing this fun swap! I hope you enjoy mine as well! What a fun idea and a cool mug too!Hope you are enjoying your weekend! Yay, glad you liked it!!! Your package was wonderful too! I love the mug, it's absolutely perfect! And the Pumpkin Quick Bread sounds great... I haven't made it yet, but it's definitely gonna happen this weekend! THANK YOU!!! This was fun! I am glad I met some new lovely people!